Eibach’s precision alignment range continues to grow on an almost daily basis and the latest fitment from the respected German manufacturer is a set of adjustable upper control arms to suit almost all variants of Audi’s A4, A5, A6, their respective ‘S’ and ‘RS’ variants, and of course, the ’96-’05 VW Passat. The premise of these smart-looking parts is simple. 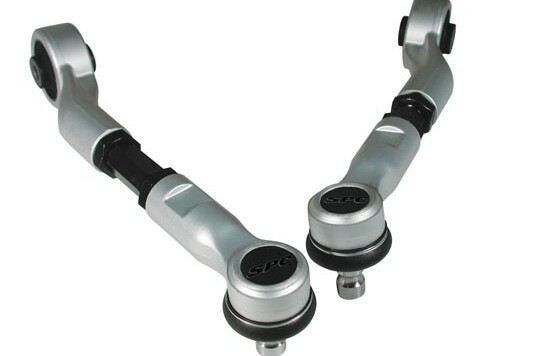 Bolting directly in place of the stock, fixed units, these fully adjustable parts feature turnbuckles to allow quick and easy camber and caster adjustment once in situ. The arms feature forged 6061-T6 aluminium ends with a large 18mm threaded adjuster, making them suitable for both track work, or in the case of the A6 Allroad, more than a little off-road abuse. 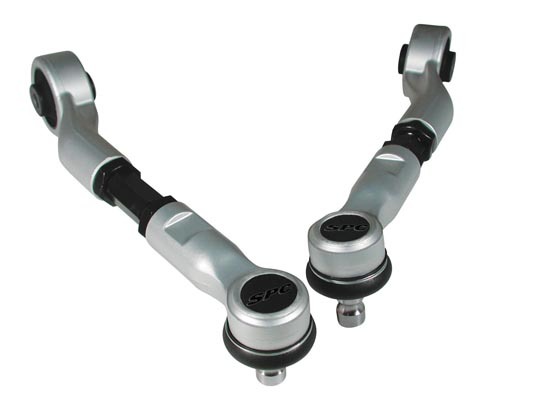 The OEM quality ball-joints are maintenance free and are fully sealed with heavy-duty dust covers for a long and hassle-free service life. Offering an additional adjustment range of +/- 1.5 ° of both camber and caster, and requiring just under an hour a side to fit, these parts make a performance essential for any tuned or cherished car.